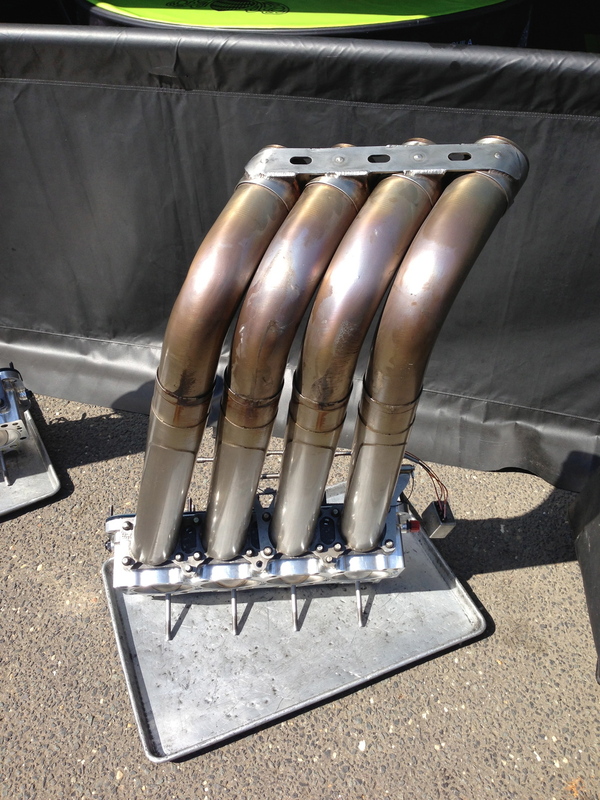 A few weeks ago I made it to my very first NHRA drag race. 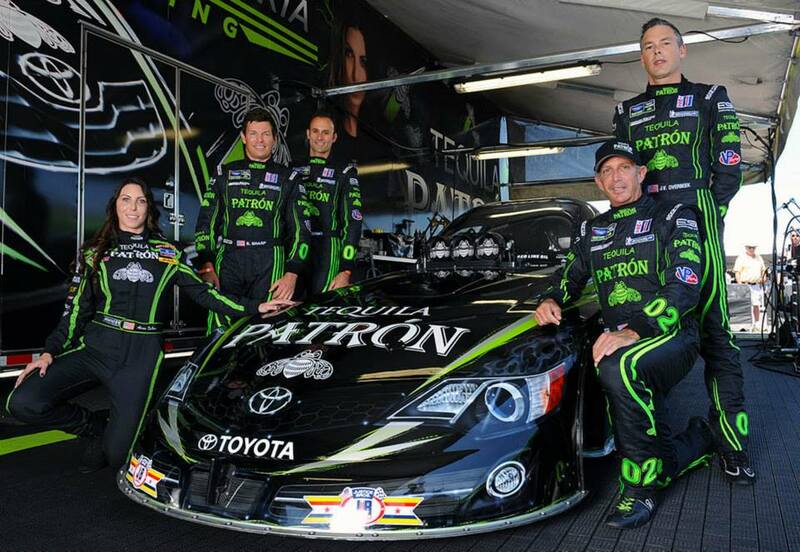 The Extreme Speed Motorsports Tequila Patrón drivers made a field trip up to Raceway Park in New Jersey to see how the other side of the Tequila Patrón racing family did things, and that was with Alexis DeJoria and Team Kalitta. Let me tell you, impressive is a word that barely describes the experience. More like mind-blowing or unbelievable would better sum it up! 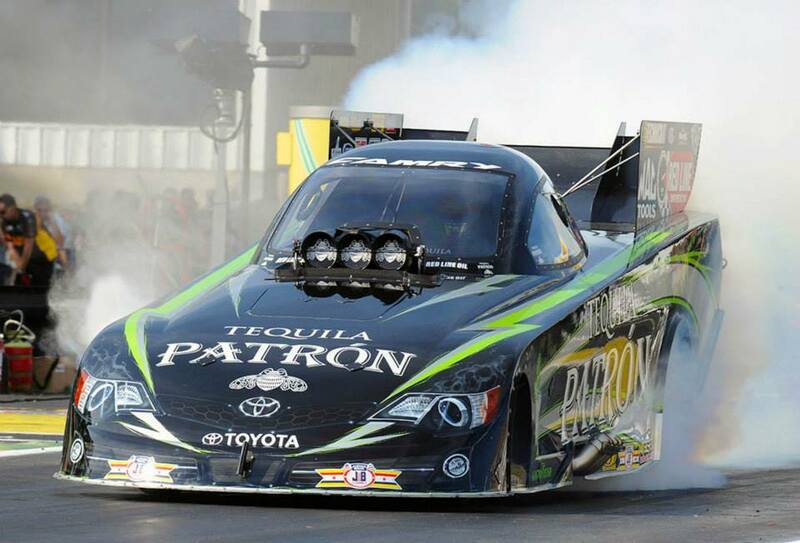 People have always told me "you need to get to an NHRA event and experience it" and they were right. To see the raw power and acceleration of these cars is ABSOLUTELY UNREAL. 0 to 300+MPH in under 4 seconds. 0 to 100MPH in .6 seconds! 8000 to 10,000 HP in the engines - and they don't know specifically because there isn't a dyno in the world that can measure it. SICK!!! Alexis and Team Kalitta were the most gracious hosts and really gave us an inside look at how their team operates, how the cars are built, maintained and how they work. We got to experience each of Alexis' runs from the starting line. We were blown away by the sound, the force and impact on our bodies as the cars EXPLODED away from the line and disappeared before our eyes - as they teared and burned from the nitro-methane fumes and made the black tire fragments run down our faces. The whole experience was just amazing. I give Alexis a ton of credit - I couldn't imagine getting behind the wheel of one of those rockets, where you sit just behind the engine with the drive shaft running between your legs and under your seat. She's got ovaries of steel in my book, and she's just the sweetest woman. Also got to meet her new husband, Jesse James. What a cool guy! 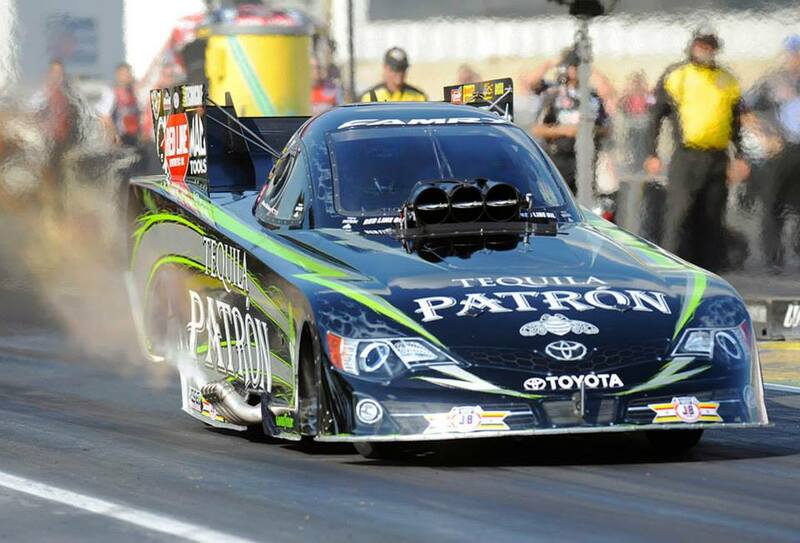 Definitely check out her website at http://alexisdejoria.com and if you ever have a chance to get to an NHRA drag race, you MUST! In addition to our visit to the track, all of us Tequila Patrón drivers and our wives were able to spend some quality time together in New York City with the big-bosses from Tequila Patrón for great food, great conversations and lots of laughs together. What an amazing group of people - not only to work with, but to have as friends. Here are a few pictures from our trip. 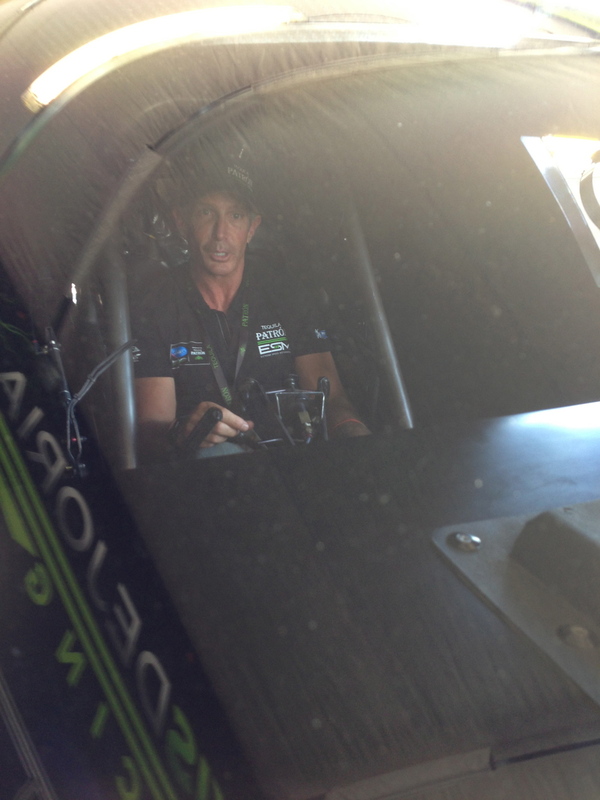 Photos courtesy of my iPhone and Gary Neese / Alexis DeJoria Racing.